This is a recent custom build I did for a nice guy who wanted a nice clean boost to use with his valve amps. He christened the build the ‘Boostie Boy’, which I quite like! The circuit is based on the classic Jack Orman Mosfet Booster. As you can see from the ‘gutshot’ photo below, its a simple circuit (a single Mosfet Transistor amplication stage), but this simplicity results in a really nice and full tone. 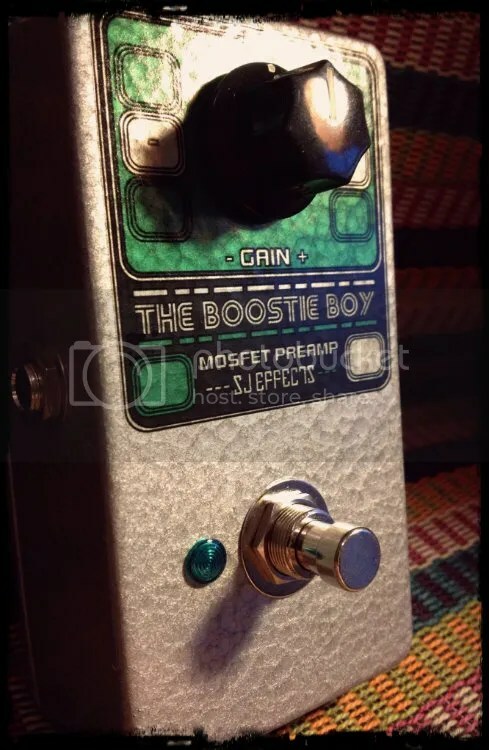 Boosters are one of the simplest, but also most useful, pedals out there IMO. Another handy feature is that with the Gain control at minimum, it works quite well as a buffer, which can be handy for long signal paths (ie. long cable runs) where high frequencies can become attenuated. If you would like to discuss a custom order similar to this build, just Contact Me. 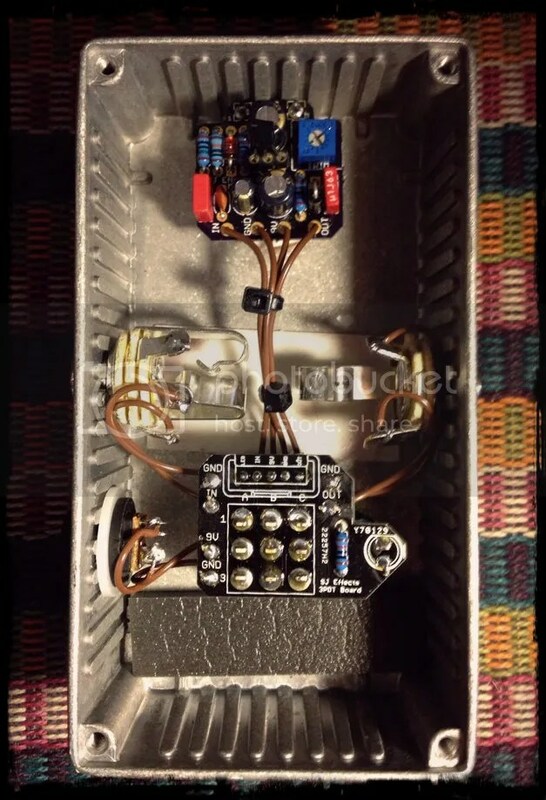 This entry was posted in Uncategorized and tagged clean booster, custom guitar effects, guitar booster, guitar effects, guitar pedal, mosfet booster by sjeffects. Bookmark the permalink.